A court commissioner says Western State Hospital CEO Cheryl Strange must report to jail Wednesday if she doesn’t admit the patient. Strange says she will not skip over other, possibly more ill patients on the hospital’s long waitlist. LAKEWOOD, Pierce County — Western State Hospital’s new CEO was ordered to report to jail next week, after being found in contempt of court Friday for keeping a patient on the waiting list for admission to the psychiatric hospital. Pierce County Superior Court Commissioner Craig Adams told Cheryl Strange on Friday to admit a man to the state’s largest psychiatric hospital. Earlier this spring, a civil court ordered the man, who has dementia, to go to the hospital. If Strange refuses to admit the patient, Adams said she must report to jail Wednesday. But Strange cited a long list of patients waiting to get into Western State, a facility plagued by shortages of staff and beds. Strange says admitting the patient would mean skipping over others on a waitlist who could be more sick — and she won’t do that. "My job is my extreme sport"
Adams also ordered Bea Dixon, executive director of Optum Pierce BHO, a provider of community mental-health services in Pierce County, to jail on Wednesday if the patient isn’t admitted to Western State. Dixon did not return phone calls or emails Friday. Friday’s hearing is the latest in a string of court actions and federal findings in the past couple of years faulting Washington state’s mental-health system as inadequate. Since 2014, state lawmakers and Gov. Jay Inslee have poured more than $100 million into the state’s mental-health programs. But in his ruling Friday, Adams made it clear that he doesn’t think their work is done. In an email Friday, Inslee spokeswoman Jaime Smith wrote that the governor’s office was aware of the contempt case. Inslee’s office is now “talking with the agency and AG’s office about next steps,” according to Smith. Citing attorney-client privilege, a spokesman for the state Attorney General’s Office, which represents Inslee and the Department of Social and Health Services (DSHS), declined to comment. The patient at the heart of Friday’s contempt hearing has been diagnosed with dementia and behavioral disturbances, according to testimony during the hearing. On April 20, a court ordered the patient detained for 14 days, according to Adams, but he was never placed in an acceptable mental-health facility. In early May, the patient was again ordered detained, for another 90 days, but was never admitted to Western State, Adams said. In that instance, state law specifically required the patient to be sent to Western State, he said. Instead, the patient has been held under what’s known as a “single-bed certification” at a general hospital because Western State didn’t have space available. At the hospital, the patient — who has sometimes been restrained — has received medication, behavior management and speech therapy, according to testimony in the hearing. At that point, patients were waiting days and sometimes months in hospitals, often held in hallways or bound to beds. After that ruling, the Washington Legislature made the practice legal under certain circumstances. To rely less on the practice, the state increased the number of short-term psychiatric beds in communities. A waiting list, however, still remains to get into Western State. But Adams — who helped spark the court case leading to the 2014 ruling — said state law doesn’t allow a patient to be boarded in a hospital for more than one 30-day stretch, as was done in this patient’s case. “To leave anyone stranded in single-bed certifications is a disservice and a violation of their constitutional rights,” said Adams. After the hearing, held in a courtroom on the Western State campus, Strange said she doesn’t intend to admit the patient. She cited testimony during the hearing that the patient is stable in the current arrangement. Western State Hospital, which houses more than 800 patients, has been the subject of years of complaints about everything from assaults on staff members to severe worker shortages and patient escapes. The staff shortage led the facility last year to close a brand-new patient ward. Last autumn, a federal inspection cited Western State’s staff shortages and put the hospital at risk of losing its certification and $64 million in funding. On June 3, DSHS and the federal Centers for Medicare and Medicaid Services agreed on a 13-month plan giving Western State time to fix its problems. Inslee in April fired hospital CEO Ron Adler after a man who had been charged with murder and another patient escaped from the facility. 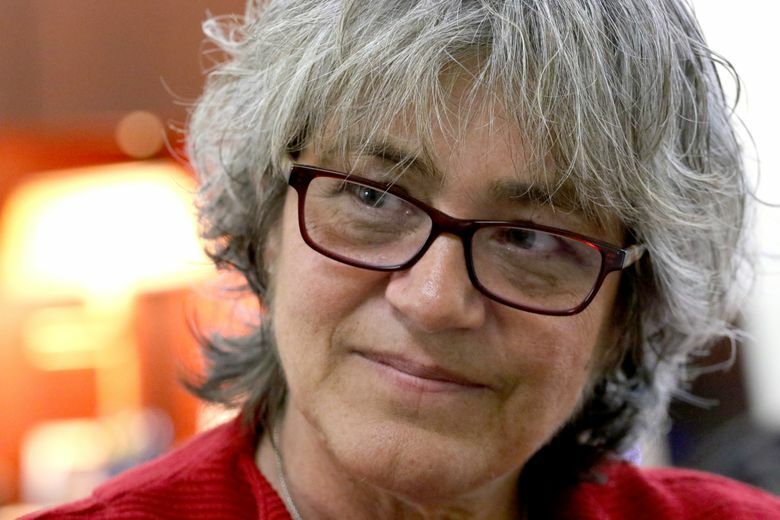 Inslee named Strange as Adler’s replacement. A mental-health nurse in her early career, Strange rose to become assistant director of the state Department of Social and Health Services mental-health division from 2006 to 2008. There, she managed an annual budget of $900 million and a staff of 2,000, and kept the state’s psychiatric hospitals in compliance with federal regulations. After that, Strange became a deputy secretary at the state Department of Corrections, a vice president at the nonprofit Pioneer Human Services and a director of operations for SEIU 775’s benefits group.